At the Mortuary Chapel in the New Cemetery (Mount Saint Lawrence) Rev Quaid, the Parish Priest of O’Callaghan’s Mill’s Co. Clare spoke. 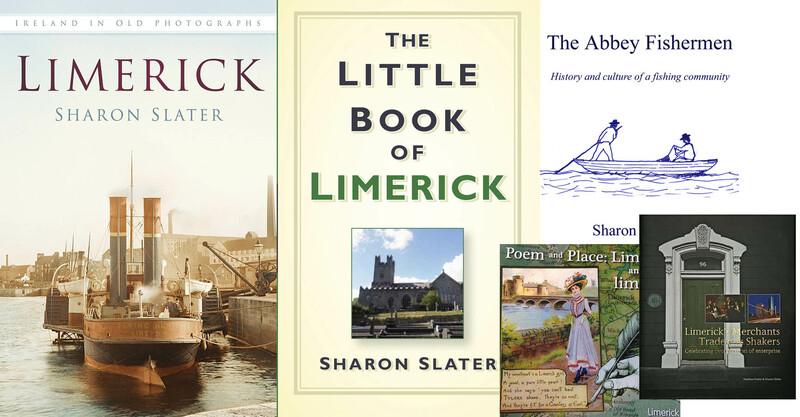 Also in attendance are many noted Limerick names, including Patrick Punch of Punch’s Hotel. This is a long list, in total 430 persons of those who were identified by police during a commemorative parade in Limerick city on 8th December, 1867 in honour of the “Manchester Martyrs” – William Philip Allen, Michael Larkin, and Michael O’Brien. 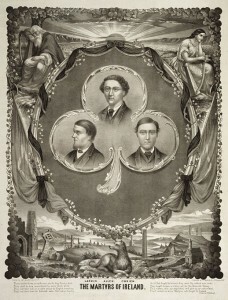 The Manchester Martyrs were publicly hanged on the 23rd November 1867 for their part in a rescue attempt of two Fenian prisioners in Manchester. In 1917 there was another Manchester Martyrs Parade through the city which was filmed.